Our prices are very competitive for our level of expertise. We also have longer sessions than most clinics with a minimum of 30 mins focused directly on you. All sessions are private in our beautiful rooms, including the gymnasium and pilates room. Unlike some clinics where it is only a curtain dividing you from other patients, we believe that privacy and focus on you makes for an undoubtedly better treatment and more successful rehabilitation. You will feel confident that your needs are fully met without distraction. HPF has leading technology and equipment to complement your rehab experience. Including DEXA scanning (xray machine), Stott pilates reformer, freemotion cable crossovers and concept 2 rowing machines, all of our equipment is state of the art. We have two private treatment rooms, a fully equipped gymnasium, pilates room with reformer and a DEXA scanning machine for Body Composition and Bone Mineral Density scanning. HPF is a clinic specialising in the combination of Physiotherapy, Exercise Physiology, Personal Training, Pilates and DEXA xray, to provide a complete and scientific solution to rehabilitation and training. Even though we are very busy, we always make sure we are available to answer any questions you may have between appointments. Our friendly and helpful reception team will direct you to our Practitioners so that you can get an answer asap. It is important to us that you feel you are being taken care of even when you are not in the clinic. HPF has always and always will value customer service as a top priority. Once you are part of the HPF experience, you will feel like part of our family. Our practitioners at Holistic Physio Fitness are highly qualified professionals with years of experience. Rest assured that you will receive the highest standard of health care available on the Northern Beaches. We have all the necessary equipment and skills to provide a complete physiotherapy service for any injury or condition. Experience the convenience and comfort of a complete approach to healthcare from our highly qualified practitioners. Our Exercise Physiology services cover any profile whether healthy, injured or ill. We treat/ train patients ranging from the very healthy, to chronically or acutely injured, to cancer and heart disease sufferers. Whether you have been referred by a Doctor, WorkCover NSW or privately, we can cater for your needs. Our therapists are not only Exercise Physiologist, but are also Masters of Physiotherapy giving a unique and thorough perspective to your treatment. The combination of Physiotherapy and Exercise Physiology training means that we have a much more comprehensive strategy for Exercise Physiology rehab. We train our clients in our own gym on premises or at a pre-organised area. Personal training meets physiotherapy, the PERFECT combination. We help you reach your exercise and fitness goals in the safest way possible. We do this through a physiotherapy evidence based approach. Get fit AND limit your risk of injury at the same time from completing professionally tailored rehabilitation fitness. 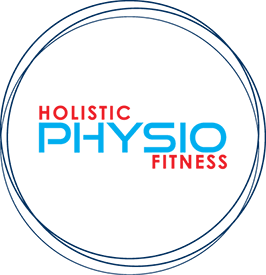 Holistic Physio Fitness offers Dietetics at the highest professional level. When it comes to your diet, dont risk it with underqualified professions, a Dietitian is the most qualified practitioner to offer you guidance for weight loss or gain, systemic issues, illnesses or just general wellbeing and feeling healthy. A Dietitian is registered with medicare and you may be eligible for rebate. You can also claim bakc on your health fund if applicable. Holistic Physio Fitness is fully equipped to help you through your workers comp claim. From acute pain management right through to strength re-training, we will help you through every step while communicating with your insurance company to make the whole experience as smooth as possible. We understand that an insurance claim for an injury can be a stressful time. This is why we do everything we can to take the stress out of the process. We run group classes at unbelievably competitive prices. We also keep our groups to a maximum of 5 people so you still get a very PERSONAL experience. The group classes of up to 5 people are a fun way to get fit and address your longstanding injury problems too. The classes are designed so that even though it is in a group setting, it is tailored to your needs with each exercise coming from a physiotherapy background to get you fit and strong in ways you have never been before. We have varying groups ranging from general strength and fitness, to osteoporosis prevention. With the combination or our DEXA scanner we set you up to acheive your goals and have confirmation you are doing so.